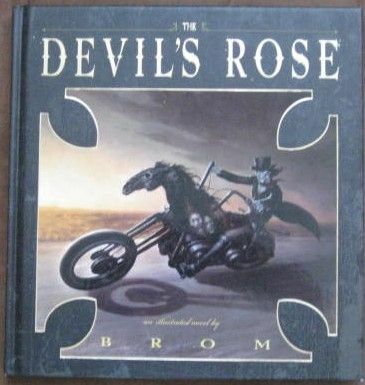 First edition, second print hardback of THE DEVIL'S ROSE by Brom and published by Abrams in 2007. 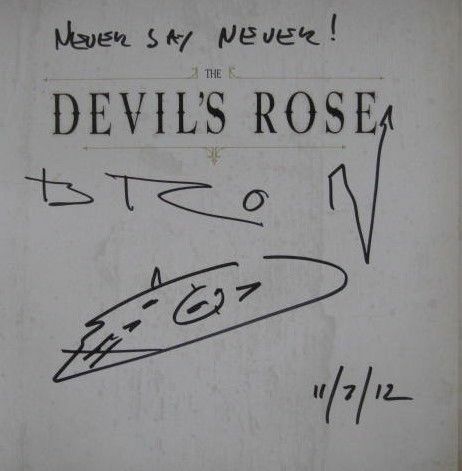 Signed, lined, dated and with a sketch of what looks like a skull by Brom on the half title page. The book is in near fine condition (pictorial boards with gold lettering to the covers and spine). No dust jacket as issued. No significant wear, just a tiny bit of bumping to the corners. Internally, the pages are clean and tight and there are no tears or other inscriptions.